Epson, the printer making firm has entered the smart glasses market with the Moverio BT-200 “augmented reality” glasses. The glasses are light weight, and project in front of the wearer’s eyes a 960 x 540 resolution display, and a virtual screen equivalent to an 80-inch TV. It also has a front-facing camera for taking photos and recording videos. 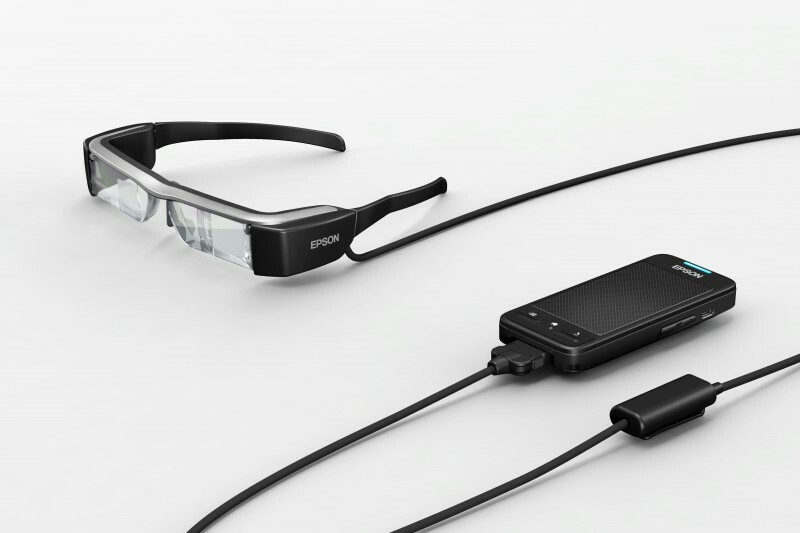 Although the Epson Moverio BT-200 is a notable competition for Google Glass, it is not as advanced and shiny looking as the latter. 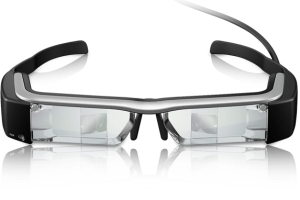 The Epson smartglasses is wired and rely on an android touchpad for its controls as opposed to majority of other similar wearables which use voice controls and hand gestures. It is worthy of note that the Epson Moverio BT-200 is cheaper than half the price of the Google Glass, and would be affordable to many individuals who have been able to afford recent high-end android smartphones, if they can cope with the wire and touchpad. Though Epson’s main target market is in the industry where workers would use the device on the job, and have information displayed on screen while they work. Epson has made the BT-200 two times lighter and slimmer than its first attempt.